Before the invention of the sewing machine in the mid-nineteen century, all clothing t it always fits the wearer better. It usually lasts longer, making it a better investment and assuming your height and weight do not change, can be ordered or re-ordered with more ease than a trip to your local mall. Bespoke tailored clothes for ladies and men are totally different. They require different concepts in selecting fabrics and styles, different experience in developing paper pattern and different requirement on craftsmanship. Per the comment from psychologist - John Gray , “men are from Mars and women from Venus”, you can well understand why the needs of a eminine body are dramatically different from a man's. Our ladies section was established in 1959. 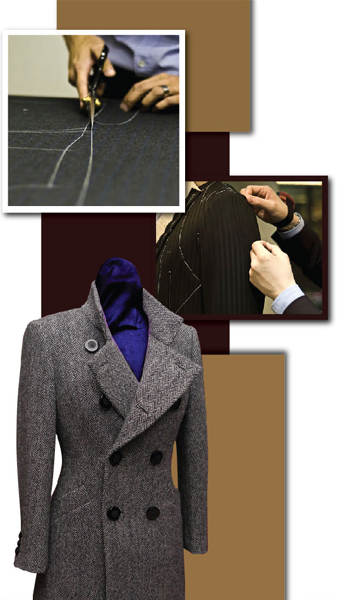 Since then, the company has acquired notable prestige in bespoke tailoring for both men and women. In 1987, The ladies section was named IRENE FASHIONS, a division of W.W. Chan & Sons Tailor. Our in-house tailors can sketch any fashion styles you have in mind. You are welcome to bring in magazine clippings, your own sketch or some garments you want to be copied. We offer a wide range of the latest fashion magazines and stylebooks for your selection. In addition, professional opinions will be provided to you regarding which colors will suit the colors of your skin and hair. We will advise you on what kind of styles will complement your figure and which fabric goes well with that style. The only thing you do is tell us your preferences; whether you want a conservative, classic or trendy. The more we know about you, the better the garment will suit you.